Below you can view all the homes for sale in the Cherry Ridge subdivision located in Decatur Georgia. Listings in Cherry Ridge are updated daily from data we receive from the Atlanta multiple listing service. To learn more about any of these homes or to receive custom notifications when a new property is listed for sale in Cherry Ridge, give us a call at 404-998-4097. Master Retreat Has Sitting Area And Airy Master Bath With Dual Sink Areas. Low Maintenance Backyard. MLS#6534628. Keller Williams Realty Atl North. There Is Some Cosmetic Work That Needs To Be Done. Shown By Appointment Only! MLS#8558296. Keller Williams Rlty Atl. Part. There Is Some Cosmetic Work That Needs To Be Done. Shown By Appointment Only! MLS#6531635. Keller Williams Realty Atl Part. An Extension Added To This Lovely Home…Gives You 2 Homes For The Price Of 1. Must See! MLS#6526920. Palmerhouse Properties. 4 Camera Sec System Stays W Home *Buyer Financing Fell Through! Back On The Market! 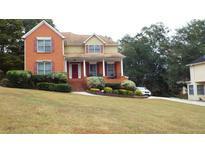 MLS#8528597. Rocket Homes Real Estate, Llc. 4 Camera Sec System Stays W Home. MLS#6505797. Rocket Homes Real Estate, Llc. The Garage Has Been Converted To A Massive Bonus Room, Great For An Office , Theatre Or Exercise Room (Seller Left Hardware In Place For A Quick And Easy Reversion; Some Tlc Needed. MLS#6502126. Maximum One Realtor Partners. Swim/Tennis Community! Must See And Sell! (; MLS#6066874. Keller Williams Rlty-Ptree Rd.